Dealing with skin that has a bit of a breakout? Dark spots or uneven tone? Or is your skin in need of a boost of moisture? Time to call in one of these Bioelements problem solvers. Think of them as a team of quick-thinking, high potency formulas you call on when skin is under internal or environmental assault. 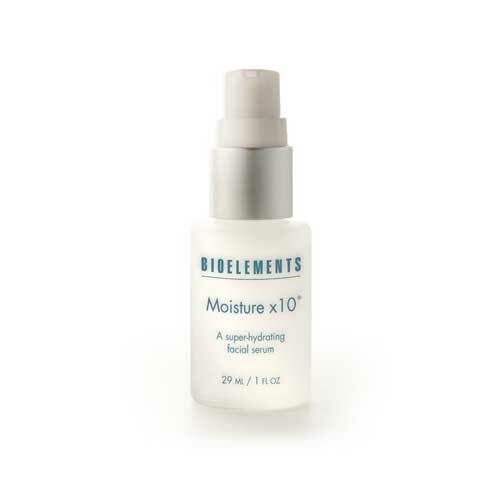 Moisture X 10 is a super hydrating facial serum that soothes and hydrates skin and boosts the efficiency of your moisturizer with hyaluronic acid, providing rapid relief for dehydration. Breakout Control dries and clears acne pimples and helps prevent new acne blemishes from forming. Talk to Molly during your next appointment about facial serums and other Bioelements products that can address your skin problems.